Everyone has days where they believe they haven’t achieved much. Days when procrastination gets the better of them. Work culture, high-stress jobs, and tight deadlines have led to people living routines instead of lives. Everyone needs a goal to follow, a post-it note in the book of life, to remind you that life is not all about money and crunching numbering in monochromatic cubicles, a reminder to live each moment to its fullest because time once passed can never return. A ‘bucket list’ is a list of goals you want to achieve, dreams you want to fulfill and experiences you want to experience before you, well, kick the bucket. So grab a pen and start adding to your bucket list as we go through some of the top destinations and experiences every traveler must have on etched onto into their bucket list. Chinese tea may be fragrant and exotic, but would you walk the plank for it? The Mt. 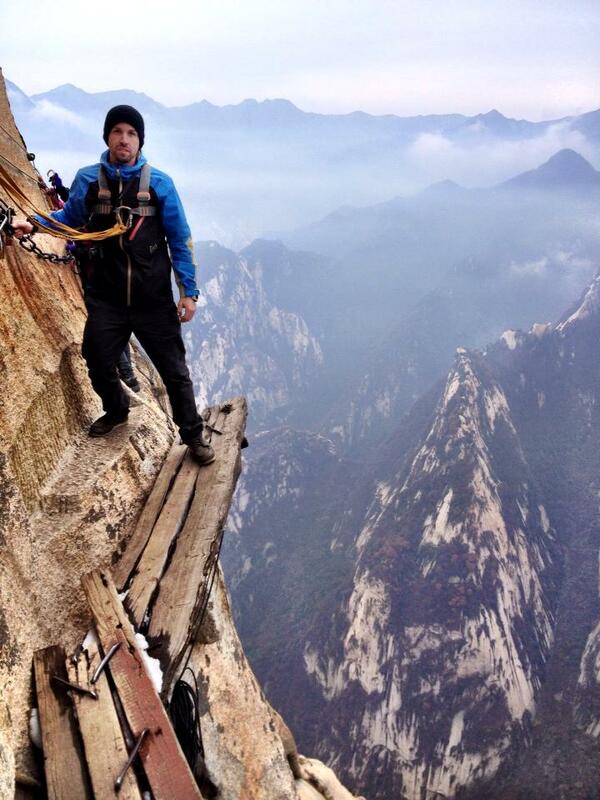 Huashan Plank Walk is one of the scariest hikes in the world. It is a narrow pathway made out of metal rods and narrow wooden planks bolted to the side of a cliff, a tiny peak over your shoulder and you’ll find yourself standing 2000ft in the air. The end of the walk brings you to a small tea house at the peak, settle those trembling nerves take in the panoramic scenery before you as you slowly take a sip of some hot tea. Think sharks and the first thing that comes to mind is the soundtrack of the movie ‘Jaws’. 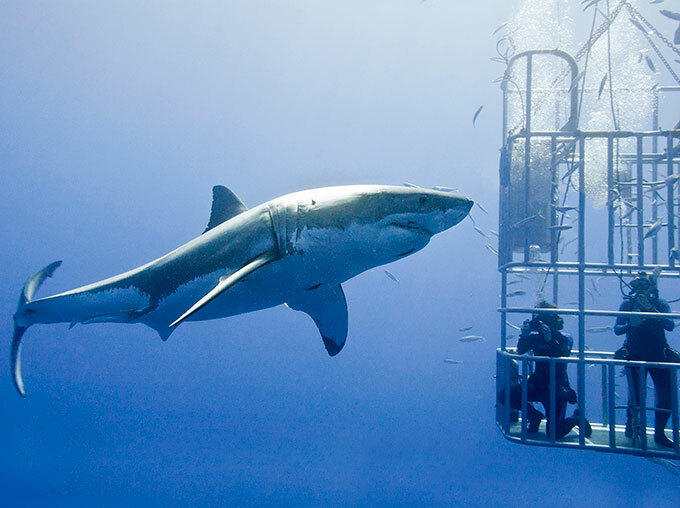 Swimming with Great White Sharks in their natural habitat can be both beautiful and scary at the same time. One of the ocean’s most intimidating predators circling around you as you sit in a metal cage beneath the surface of the ocean seems like something out of a nightmare. These sharks can grow over 20 feet and weigh more than 5,000lbs. Promised to be one of the most adrenaline pumping experiences you could have. This is one activity you have to have on your bucket list. The 4th largest river in Africa, the Zambezi flows through 6 different countries. The mighty Victoria Falls being one of its most notable features, it’s also one of the seven natural wonders and a world heritage site. The white waters make the Zambezi home to one of the best and most thrilling white water rafting expeditions in the world. 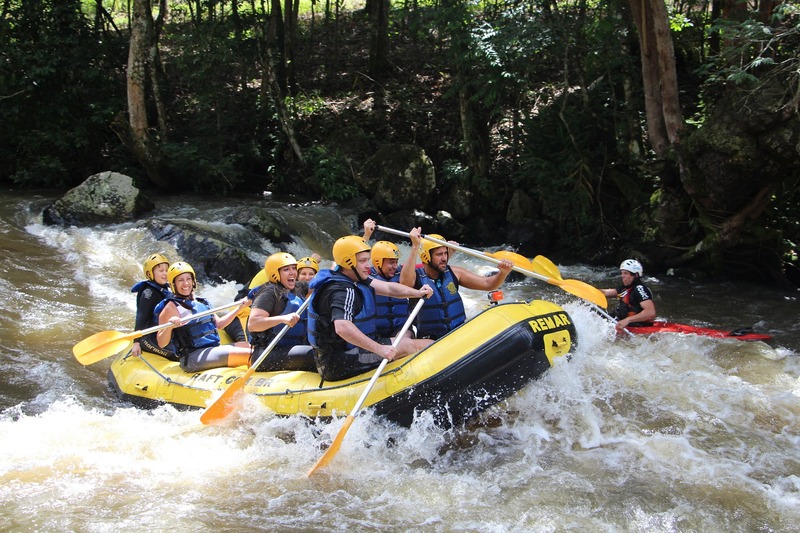 The course has rapids ranging from level 3-5, the highest commercial grading possible for white water rafting. Fight through rapids such as The Devils Toilet Bowl, The Gnashing Jaws of Death, The Ugly Stepsisters, Oblivion and Stairway to Heaven. Check out some of the best rafting destinations in India. The Northern lights also known as the Aurora Borealis is an incredible natural light show cause by the collision of electrically charged particles released by the sun entering the earth’s atmosphere and reaction with gasses such as oxygen and nitrogen. It occurs towards the magnetic poles and Norway is one of the best destinations to see them. Svalbard is an island in Norway that promises some of the best views of the Northern Lights. Between mid-November and the end of January, Svalbard is without daylight and in an eerie blue twilight, there are often more Aurora viewing opportunities. 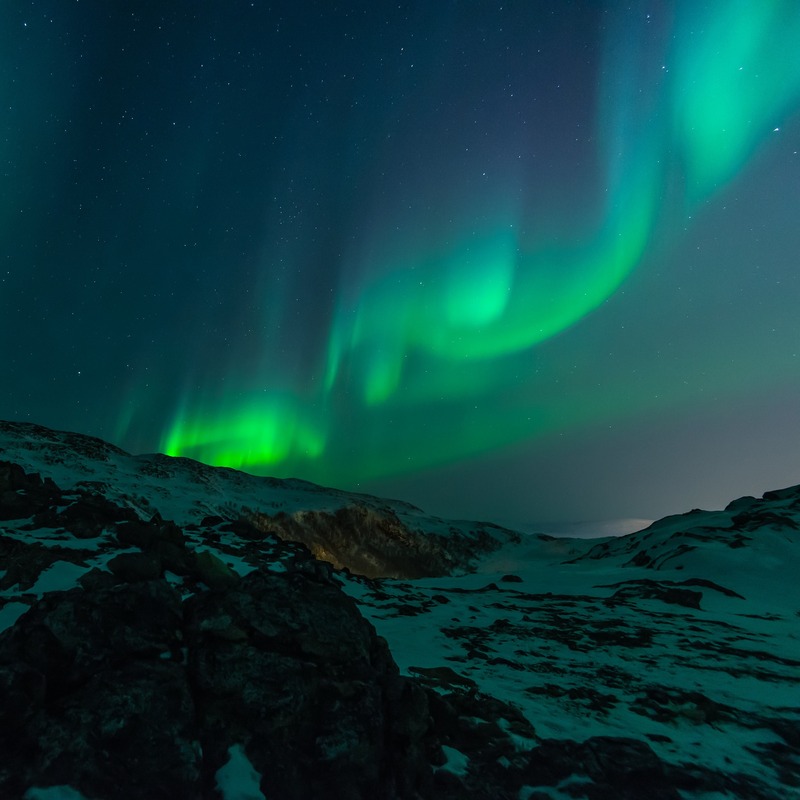 Forget all about your troubles as you watch a sky full of stars and enjoy the dance of the northern lights. Here’s how you can make sure you have a perfect camping experience. The Chadar trek is considered one of India’s toughest treks. Over the winter, the Zanskar river cocoons itself with a thick layer of ice. This trek is like none other. Trekking through slabs of ice is totally new feeling. If you’re not careful, you may find yourself kissing the Zanskar a few times on the way! Experienced trekkers swear by cheap rubber gumboots over fancy mountaineering footwear. The Chadar Trek takes a week to complete and is incredibly unpredictable. At no point does the entire river freeze over. Ice forms break and change color every few hours. The future of the Chadar Trek seems bleak with the proposed construction of a motorable all-weather road to connect the remote Zanskar villages to Leh. Ever peeked over the edge of a high rising tower and felt that uneasy urge to jump? Well, now you can! Wingsuit Base Jumping combines the thrill of skydiving, paragliding, and parachuting into one insane sporting experience. BASE jumping uses the aerodynamics of the wing suit and body movements to manoeuver yourself and glide across the sky. Towards the end of your jump, you deploy a parachute to land safely. 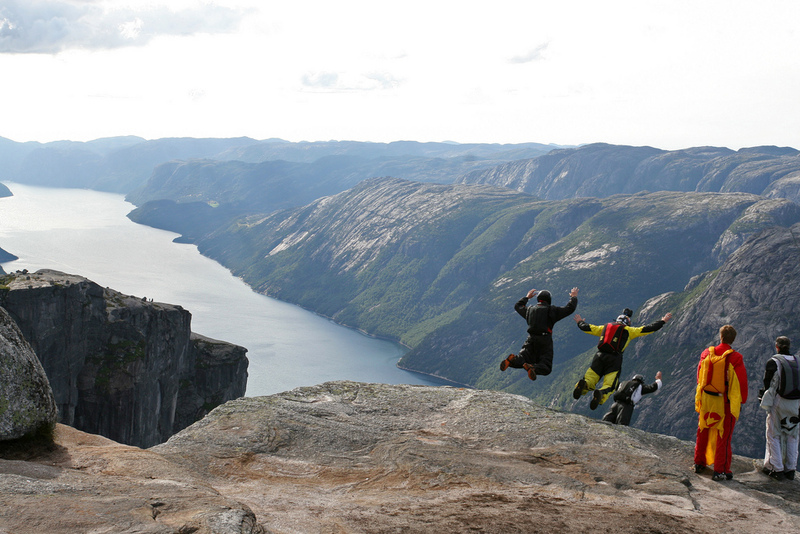 Pulpit Rock in Norway is home for BASE jumpers all over the world. It stands at a height of 1982 ft. and is now one of Norway’s most visited natural attractions. The one thing on almost every traveler’s list when in Australia, is scuba diving in the Great Barrier Reef. 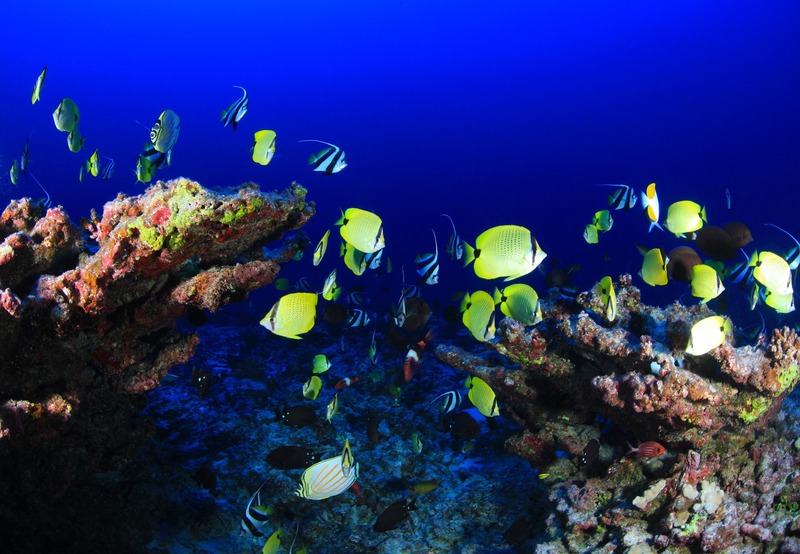 The Reef is the world’s largest and healthiest coral reef system. It’s made up of nearly 2900 individual reefs, 600 continental islands, and 300 coral cays. The reef is home to 1\3rd of the world’s entire coral species and a natural habitat for 10% of the world’s entire fish species. Enjoy the marine ecosystem in clear and pristine blue waters. Dive deeper and see creatures indigenous to this part of the globe. The Great Barrier Reef is recognized as one of the Seven Wonders of the World and was named a world heritage site in 1981. EDIT: Sadly this beauty is in a highly endangered situation because of bleaching activity. Check out these other top Diving locations in the world. “Twenty years from now you will be more disappointed by the things you didn’t do than by the ones you did do. So throw off the bowlines. Sail away from the safe harbor”. 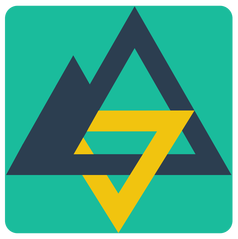 VISIT ADVENSURE AND SAY HI!